In recent years, Scottish Football has made small steps towards ridding itself of the “jobs for the boys” tag which has hung about it for so long. Young, ambitious coaches are being given more opportunities than before, with the usual merry-go-round of chancers finding it increasingly difficult to obtain jobs they would’ve walked into before (Mark McGhee I’m looking at you.) Naturally, supporters in Scotland rally round these coaches a bit more in the hope of seeing more success stories like Jack Ross, Jim Goodwin, David Hopkin etc. For smaller clubs looking to take themselves to the next level, an unproven but talented and determined coach is definitely the way to go. Jonatan Johansson was one such ambitious appointment. Lacking in first team management experience, but more than making up for it in pedigree. A fans favourite at Ibrox, over a century of caps for his homeland Finland and goals scored in the Champions League, Premier League and beyond. He had one of the best playing careers of any of the current serving SPFL managers. Beyond this, Johansson lives locally, and had coaching experience at Cappielow too – managing the reserves in 2012 before moving on to Motherwell. His appointment at Morton made total sense. 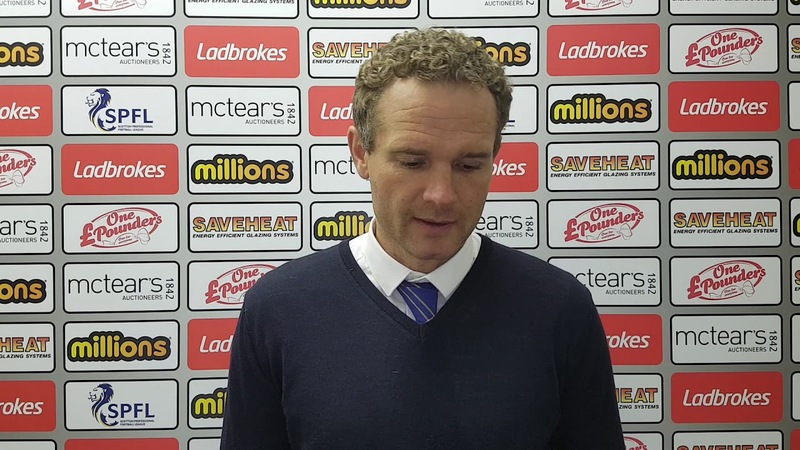 The two year deal he was handed perhaps didn’t, but fans were initially forgiving of a board still reeling from Ray McKinnon’s sudden departure. Johansson’s appointment looked to be a bit of a coup for the club, but alarm bells began ringing very, very early. Johansson oversaw a 1-1 draw at Tannadice in his first game in charge. A decent result on the face of it, United for all their recent troubles are still the biggest team in the division with some of the best players, but the manner of the draw was concerning. 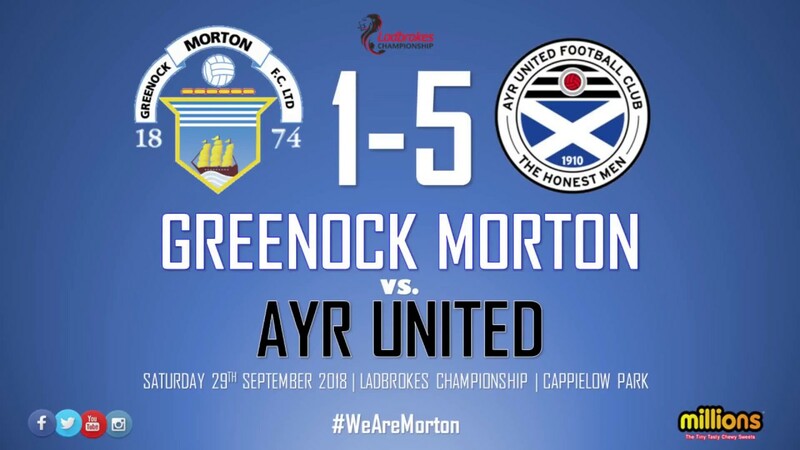 Morton took the lead in the 11th minute through a Michael Tidser penalty and whilst they didn’t threaten the opposition’s goalkeeper much after, had reasonable control of the game. That was until they began sitting deeper, and deeper until the game was being played exclusively in one half. The inevitable happened, Fraser Fyvie equalised for United with the last kick of the game, an outcome which everyone bar Jonatan Johansson seemed to see coming. 2 points dropped, but the Morton support were forgiving of someone managing their first ever senior game, he’d learn. In the coming months, rookie errors were replaced by an overriding sense of someone completely out of their depth. 5-1 at home to Ayr United, 5-0 away to Ross County, 3-0 away to Dunfermline. 1 win in 5 against part-time opposition (against Peterhead of League 2) and a selection of other insipid daws and losses somewhat overshadow Johansson’s 5 league wins as Morton boss. 3 of those wins came against Falkirk and Partick (x2) and the other two were reasonably impressive results. An encouraging away win at Queen of the South and a surprise home victory over then league-leaders Ross County provided some hope things could move in the right direction. A Scottish Cup defeat to League 1’s East Fife however. which can barely be called a shock at this point, brought fans right back down to earth. There is absolutely no semblance of an identity to Johansson’s Morton team. Goals being leaked left, right and centre prompted a move to 5-3-2 from the traditional 4-4-2/4-3-3 Morton had used up until that point. It worked to an extent, but completely stifled the team in terms of creativity. Anyone unfortunate enough to have caught BBC Alba’s coverage of the victory over Ross County will have noticed it resulted in kick and rush football more than anything – but without anything close to a target man to make it function properly. To give Johansson credit, that was the correct way to go about beating Ross County, but basically nobody else, notably East Fife. Morton have zero idea how to take the game to the opposition when the onus is actually on them to win. It’s not a pressure thing, they genuinely don’t seem to know how. For a full time team to so routinely look like they’ve just met in the carpark 5 minutes before kick-off of is beyond worrying, more so when this team has already shown this season what they’re capable of, In the earlier victory over Ross County under McKinnon, Morton were terrific. They played open, expansive football with a clear message to keep it on the deck as much as possible, and with the likes of Michael Tidser, Chris Millar and Charlie Telfer in the team, this suited them perfectly. Defensive fragilities were exposed in the Betfred Cup campaign and in the opening-day draw with Queen of the South, but there was always the feeling those issues could be ironed out. The most important thing was the team had a clear game plan, and for the most part it was working. Tidser, comfortably one of the best players in the Championship when on-form, was the star of McKinnon’s Morton. As part of a midfield three, he was given the freedom to influence proceedings high up the pitch, making him an integral part of nearly all of Morton’s attacks. The fan favourite looked to be back to his best after frustrating seasons with injury and under-utilisation from Jim Duffy. Under Johansson though, he’s regressed significantly, largely down to being dropped so deep he barely has the chance to have the influence he should be. Dundee have been linked with a pre-contract offer for Tidser, and whilst Morton fans would be distraught to see him go, they couldn’t blame him for leaving behind a manager that consistently fails to utilise him correctly. Tidser isn’t the only player to have regressed, everyone has. Players that looked at least somewhat capable at Championship level like Rory McKeown and Reghan Tumilty now couldn’t be much further off it. There isn’t a single player you can point to that’s had anything close to a consistent run of form. There were glaring deficiencies in the squad assembled by Ray McKinnon, but to underperform to the extent they have and so often look like genuine relegation candidates points to a manager that quite simply doesn’t know what he’s doing. It’s not just on the pitch the manager has managed to lose support from Morton fans, it’s off it as well. In the first few weeks after his appointment, Johansson’s ability to identify problems and where his team had went wrong was picked up upon and praised. Supporters had been so used to Jim Duffy, er, keeping his cards close to his chest and not disclosing why his team were dreadful on a specific Saturday (Fun fact, it’s actually because he didn’t know) so a manager that could spot those issues was a big positive. Slight problem though, he didn’t actually fix any of them. The same issues kept occurring and nothing seemed to be done to remedy them, and if It was, whatever was being said to the players obviously wasn’t being taken in. It’s February and this is still the case. Before the start of this season, Morton’s new chairman Crawford Rae issued a rallying call to supporters and spoke of a “3 year plan” to get the Cappielow club playing top flight football for the first time in three decades. Cut-price season tickets were offered and a concerted effort was seemingly made for the club to become more transparent and open with its supporters. The death of former Chairman, Crawford’s father Douglas threw things up in the air a bit, but McKinnon’s positivity and ambition displayed when talking to the media was enough for supporters to believe things were still alright. As well as the manager, that communication has disappeared, and the diddy team attitude that has held Morton back for years now has once again taken hold. Johansson is arguably worse than Jim Duffy for talking about Morton as though they’re an under-12s B team trying to compete in the Champions League. Hailing goalless draws against the likes of Dunfermline and Falkirk (the latter of which he claimed were in a “false position” in the league while sat rock-bottom) surprisingly irked supporters a wee bit. Playing a back five against EAST FIFE and counter-attacking, at home, against Peterhead hasn’t particularly helped his case either. His change of system in reaction to the 5 goal hammerings seemed to be accompanied by a genuine belief that players at this level aren’t actually capable of defending properly, and instead need to just sit behind the ball and hope for the best. Arrogant is perhaps too strong a word to use, but there appears to be a complete lack of belief and trust in a squad that were doing reasonably well before he took over. Anyone still brave enough to listen to his post-match interviews have in recent weeks been treated to comments about there being no budget, the squad needing trimmed and the average age needing brought down a few years. If even one of those statements is true, then serious questions have to be asked about Morton’s board and their level of ambition. Johansson took this job on knowing there wouldn’t be much money to play with and that it was up to him to get as much as possible out of the squad available to him. He isn’t, he has taken every single player backwards and is quite possibly forcing the best one out of the club altogether. Johansson made a decent number of January signings, none to correct the defence he doesn’t trust and will continue to moan about, however the likes of Robby McCrorie and Greg Kiltie look like solid additions for this level. McCrorie was responsible for keeping the score down at Tannadice the other week and Kiltie registered a debut assist, two of the only positives in yet another disappointing performance. There’s an awful lot of work needing done and the new signings could add something positive, but for many supporters, the die has already been cast. Morton sacked Jim Duffy because they needed someone to take them to the next level. It’s hard to say whether McKinnon would’ve been that man, but he at the very least acted like it. In an era of smaller teams doing well in Scotland’s top flight there really is no reason Morton can’t be one of them. It’s becoming harder to imagine their own manager agrees though. Previous article Pure Fitbaw Launches A Podcast!